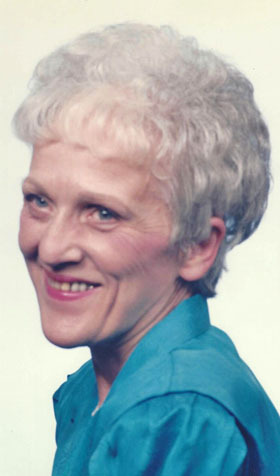 NEW SPRINGFIELD –Doris Maxine “Mackie” Bones, a longtime resident of New Springfield, died on Monday, April 8. She was born on Jan. 11, 1932 to William and Jennie Brininstool of Jackson, Michigan. She married the late Donald “Don” Bones in 1950 and is survived by their four children, Marcus William Sr. of Remington, Va., Matthew David (Michelle) of San Diego, Calif., Gail Lynn of Youngstown and Gay Ann, of Sacramento, Calif.; and four grandchildren. Mrs. Bones retired from the K-Mart Corporation in 1997. A graveside service will be held at 11: a.m. today at Petersburg Cemetery, 13525 Youngstown – Pittsburgh Rd., Petersburg, Ohio. Arrangements for Doris were handled by Seederly-Mong and Beck Funeral Home, Columbiana.